“The Healthcare Supply Chain Association applauds Senate HELP Committee Chair Lamar Alexander (R-TN) and Ranking Member Patty Murray (D-WA) for their leadership and emphasis on reducing healthcare costs through innovation. As the sourcing and purchasing partners to American hospitals, long-term care facilities, surgery centers, clinics, and other healthcare providers, healthcare group purchasing organizations (GPOs) are committed to lowering healthcare costs by increasing competition and innovation in the healthcare marketplace. The ability to safely substitute FDA-approved biosimilars for reference biologics will be critical to realizing the full cost-savings potential of biosimilars and will ensure that patients have timely access to safe, less-costly therapies. HSCA and its member healthcare group purchasing organizations are committed to lowering costs through increased competition and innovation in the healthcare marketplace and have consistently advocated for policies to ensure a pathway to market for biosimilars that prioritizes patient safety and cost savings. 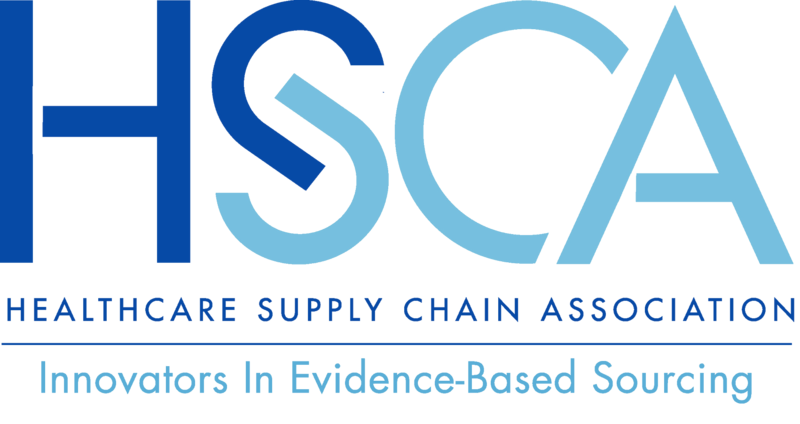 On behalf of the Healthcare Supply Chain Association (HSCA), we appreciate the opportunity to provide comments on the U.S. Drug Enforcement Administration’s (DEA) proposed aggregate production quotas for Schedule I and II controlled substances. HSCA represents the nation’s leading healthcare group purchasing organizations (GPOs), the sourcing and purchasing partners to virtually all of America’s 7,000+ hospitals, as well as the vast majority of the 68,000+ long-term care facilities, surgery centers, clinics, and other healthcare providers. Washington, DC (August 21, 2018) – The Healthcare Supply Chain Association (HSCA), which represents the nation’s leading healthcare group purchasing organizations (GPOs), today released its second annual report on the value that GPOs deliver to the healthcare system. The report, which was based on a survey of HSCA member GPOs, found that GPOs continue to deliver critical cost savings to providers, increase competition and transparency in the market, and are helping to propel improvements to the overall healthcare system. On behalf of the Healthcare Supply Chain Association (HSCA), we appreciate the opportunity to provide comments to the Department of Health and Human Services (HHS) on the “Blueprint to Lower Drug Prices and Reduce Out-of-Pocket Costs.” HSCA represents the nation’s leading healthcare group purchasing organizations (GPOs), the sourcing and purchasing partners to virtually all of America’s 7,000+ hospitals, as well as the vast majority of the 68,000+ long-term care facilities, surgery centers, clinics, and other healthcare providers. We help our healthcare provider partners leverage their purchasing volume to negotiate competitive prices on healthcare products and services. Former FTC Chair Jon Leibowitz recently examined GPOs and found that they operate in a vigorously competitive environment and reduce healthcare costs for patients, hospitals, payers, Medicare and Medicaid, and taxpayers. One report estimated that between 2013 and 2022, GPOs will reduce healthcare spending by up to $864 billion. The value that GPOs deliver allow healthcare providers to focus on their core mission: providing first-class patient care. We, the undersigned, commend you for your leadership and commitment to reducing out-of-control prescription drug prices and stopping anti-competitive abuses that keep drug prices high. We are encouraged that the Senate Judiciary Committee has noticed a markup of the Creating and Restoring Equal Access to Equivalent Samples (CREATES) Act (S. 974). We thank you for your efforts to move this important piece of legislation through the Committee. Advances in information technology and medical devices, and increasing interoperability of information systems, devices and services are improving patient care and creating efficiencies in the healthcare system. Medical devices are often life-sustaining or provide vital clinical functions that cannot be compromised without diminishing direct patient care. Accordingly, the availability, reliability, and safety of these devices is essential. On behalf of the Healthcare Supply Chain Association (HSCA), we appreciate the opportunity to provide comments on the U.S. Food and Drug Administration (FDA) draft guidance on the use of bulk substances under Section 503B of the Federal Food, Drug, and Cosmetic Act. HSCA represents the nation’s leading healthcare group purchasing organizations (GPOs), the sourcing and purchasing partners to virtually all of America’s 7,000+ hospitals. On behalf of the Healthcare Supply Chain Association (HSCA), we appreciate the opportunity to provide comments on the U.S. Drug Enforcement Administration (DEA) proposed rule on annual opioid production limits.